We need protein to build cells, tissue, bones, skin and muscles. Proteins ferry oxygen, minerals and lipids throughout the body, helping all of our organs, glands and muscles do their jobs. Protein counteracts muscle loss, fuels muscle growth, and speeds up calcium absorption. Dividing our protein intake throughout the day helps our bodies build and maintain muscle mass, and healthy protein bars are a fast and convenient way to consume protein during our busy days. Protein is digested very slowly and remains in the digestive tract far longer than anything else we eat, which helps people stay fuller longer. In this way, protein suppresses and regulates the appetite, controlling our hunger and cravings, and contributing to weight loss and maintenance. Protein bars are an excellent idea for someone who is on the run, especially an active person who regularly works out. Generally, they are a healthy convenient source of protein for someone who wants to increase their muscle mass and lose fat. Nutritionists recommend a protein-dense breakfast, so someone who doesn’t eat breakfast is a good candidate for a protein bar in the morning. Protein and carbs fuel a workout, and without enough protein, you can actually end up losing muscle mass. Protein bars can be a Godsend to a busy active person, who may not have the time to prepare and eat several meals a day. According to sports nutritionists, inactive adults need about .4 grams of protein for each pound of body weight, while athletes and active adults need about double that amount of protein per pound. Protein should constitute 10-35% of a healthy adult’s diet. Protein is found in meats, poultry, fish, beans, nuts, seeds, tofu and dairy products. A person who consumes 2,000 calories a day should eat 100 grams of protein, contributing to 20% of their daily calories. One ounce of most protein-rich foods contains 7 grams of protein. But many people have a difficult time getting all of their protein needs from their daily food intake, which is why protein bars are a great help towards satisfying their recommended daily protein intake. While protein bars are a quick and convenient way to meet our protein requirements, there are a few important guidelines to keep in mind when choosing a protein bar. First of all, a good protein bar should never exceed 250 calories, unless it is meant to replace a meal, in which case you may be justified in eating a 300-400 calorie protein bar. Even so, review the ingredients in a protein bar: You should be able to find a protein-rich low-carb low-fat protein bar to supplement your protein intake. Watch out for protein bars that have a lot of sugar in them: some protein bars have more sugar than candy bars! Avoid soy based proteins; look for proteins that have a high concentration of isoleucine, leucine, and valine – the amino acids that stimulate muscle growth. The proteins that have the largest concentration of these amino acids are whey protein, calcium caseinate, P-protein, brown rice and hemp. 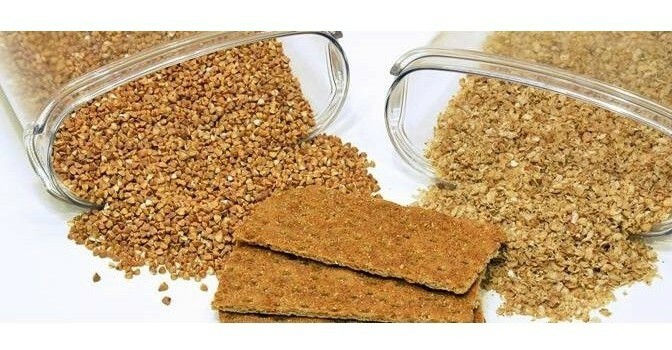 You can eat a protein bar before or after your workout, but eating it an hour or two before you exercise will give you the energy you need to fuel your workout, especially if your protein bar’s carbohydrates are from whole grains or dried fruits. If you are unable to prepare a high-protein meal right after your workout, then another protein bar will provide the carbs and protein needed for your muscles’ recovery and growth. Beware of eating too many protein bars during a hectic day, because you could end up gaining weight!